The Competition Commission of India (CCI),2 established under the Competition Act, 2002 (Competition Act), has only been discharging its enforcement functions for the past nine years,3 yet it has had a significant impact on India's competition regulatory framework, considering that conduct of enterprises (publicly or privately owned, multinationals or small and medium-sized enterprises) across various sectors has been indiscriminately scrutinised and, where needed, penalised. The Competition Act has had a ground-breaking impact on a wide gamut of enterprises (companies, associations, partnership firms, individuals) operating through different mediums (online, brick and mortar) in different levels of markets (manufacturers, wholesalers, distributors, retailers). Last year saw important developments both on the legislative as well as the judicial front. On the legislative front, the Ministry of Corporate Affairs (MCA) has constituted a Competition Law Review Committee (Committee) to review the Competition Act, Competition Rules and Competition Regulations in view of the changing business environment and recommend necessary changes, if required. The Committee will also consider international best practices in the competition fields, especially antitrust laws, merger guidelines and the handling of cross-border competition issues, and recommend appropriate changes after seeking views from stakeholders. As per an official press release from the Press Information Bureau (PIB),4 in April 2018 the Union Cabinet also gave its approval for 'rightsizing' the CCI from one chairperson and six members (a total of seven) to one chairperson and three members (a total of four) by not filling two member vacancies, and one more additional vacancy that became vacant in September 2018 when one of the incumbents completed his term. However, no legislative amendment to the Competition Act has been brought forth in this regard. The CCI has also released a Policy Note7 focused on the healthcare sector entitled 'Making Markets Work for Affordable Healthcare'. The Policy Note recognises that practices prevailing in the sector due to lack of information symmetry may not always violate the Competition Act, but they tend to create conditions that do not permit the process of competition to unfold effectively in the markets. Accordingly, the CCI has brought out a set of recommendations and decided to share the same with the MCA, the Ministry of Health and Family Welfare, the Department of Pharmaceuticals and NITI Aayog. Besides the above legislative developments, last year witnessed various important decisions passed by the Supreme Court of India (Supreme Court), high courts and the CCI. The Supreme Court decided certain important cases on substantive issues under the Competition Act which provide important guidance for the CCI in its functioning. In Rajasthan Cylinders and Containers Ltd v. Union of India & Anr,8 the Supreme Court set aside concurrent findings by the CCI and the Competition Appellate Tribunal (COMPAT9) regarding an alleged cartelisation by a set of liquefied petroleum gas (LPG) cylinder manufacturers based on the market conditions. The Supreme Court based its decision on Excel Crop Care Ltd v. Competition Commission of India & Ors,10 relying on the market conditions and observing that 'those very factors on the basis of which the CCI has come to the conclusion that there was cartelisation, in fact, become valid explanations to the indicators pointed out by the CCI'. In a significant decision, the Supreme Court provided important clarity regarding the overlap of jurisdiction between the CCI and sector regulators. In Competition Commission of India v. Bharti Airtel Limited & Ors,16 the CCI had approached the Supreme Court regarding a decision of the High Court of Bombay that had set aside a CCI order initiating an investigation against a set of telecom operators for alleged cartelisation on the ground that Telecom Regulatory Authority of India (TRAI) and not the CCI had the requisite jurisdiction. The Supreme Court upheld the order of the High Court of Bombay, but also provided certain clarifications regarding the exercise of jurisdiction by the CCI in cases where sectoral regulators exist. The Supreme Court has held that the CCI's jurisdiction in the telecom sector cannot be completely eliminated, but that the exercise of jurisdiction in the first instance should be carried out by TRAI, and that at a later stage the CCI can exercise its jurisdiction after TRAI forms its prima facie view. In discharging its functions, the National Company Law Appellate Tribunal (NCLAT), has also rendered some important decisions. Significantly, NCLAT upheld17 the 67 billion rupees fine imposed by CCI on 11 cement manufacturers for alleged cartelisation. The cement manufacturers, and also their association, have referred appeals before the Supreme Court. The Supreme Court has accepted the appeals and directed that the interim orders as passed by NCLAT (whereby the parties were required to deposit 10 per cent of the penalty amount for a stay on the CCI order, but that if the appeals were to be ultimately dismissed, the parties would have to pay the balance amount with 12 per cent interest from the date of the CCI's order) shall continue in the meantime. Currently, NCLAT is also hearing an appeal18 against an order passed by the CCI where Google was found to have abused its dominant position and a penalty of 1.35 billion rupees was imposed on it (by the CCI). During the pendency of the appeal, NCLAT has passed an interim order19 staying the operation of the CCI order in certain respects subject to Google depositing 10 per cent of the penalty imposed by the CCI. Further, the CCI itself revealed its evolution by continuing to pass various orders imposing penalties on enterprises for indulging in anticompetitive activities in violation of Section 3 (anticompetitive agreements having an appreciable adverse effect on competition in India) and Section 4 (abuse of dominant position) of the Competition Act. Although there is no legislative no provision in this regard, the High Court of Delhi by way of a decision35 has held that the CCI has an inherent power to recall or review (based on certain specified grounds) an order passed by the CCI under Section 26(1) of the Competition Act initiating an investigation. from the record before the CCI, show that it is apparent that there is every likelihood of the party to the lis suffering irreparable and irretrievable damage, or there is a definite apprehension that it would have adverse effect on competition in the market. An application for compensation (arising from findings of CCI or findings of NCLAT) can be made before NCLAT under Section 53N of the Competition Act. Furthermore, an application can be made to NCLAT under Sections 42A and 53Q(2) for recovery of compensation from any enterprise for any loss or damage shown to have been suffered as a result of the contravention of the orders of the CCI or NCLAT. At present, NCLAT has five compensation applications42 pending before it that have been filed by parties under Section 53N of the Competition Act. However, NCLAT is yet to render a final view on those applications. Article 245(2) of the Constitution of India provides that no law made by the Parliament shall be deemed to be invalid on the ground that it would have extraterritorial operation. Further, Section 32 of the Competition Act provides the CCI with the power to inquire into activities having an adverse effect on competition in India, even though the enterprise or party is outside India or the practice arising out of an anticompetitive agreement or abuse of dominant position has taken place outside India. Section 18 of the Competition Act, implicitly, also empowers the CCI to enter into any memorandum of understanding (MoU) or arrangement with any agency of any foreign country, with the prior approval of the Central Government. Additionally, the Competition Act exempts agreements that relate exclusively to the production, supply, distribution or control of goods or the provision of services for export.47 The issue of the extraterritorial jurisdiction of the CCI was a subject of dispute in the inquiries initiated against Google Inc48 by the CCI. Although not giving any specific finding on this aspect, the CCI seems to have imposed a penalty based on the sales of Google Inc (along with that of its Indian subsidiary) from their India operations. Additionally, the CCI in a number of cases49 has made parent companies parties to proceedings before the CCI, and in certain cases50 has called foreign officials for the recording of their statements. Interestingly, in a recent case,51 the CCI held that an alleged anticompetitive agreement did not have an appreciable adverse effect on competition in India because almost the entire quantities of the goods in question were being exported. However, more clarity is required regarding the position on the locus or the standing of an informant under the Competition Act. In a case pertaining to trade associations,54 COMPAT55 recognised that internal rivalry between different sections of a trade association can lead to the filing of motivated information that the CCI should be wary about. Likewise, in another case,56 COMPAT57 also acknowledged that business rivalry can influence competitors to make untrue allegations before the CCI, requiring the CCI to take a careful approach. Any aggrieved party having suffered loss or damage in India (either because of anticompetitive activities or non-compliance with the CCI or NCLAT order) may file an application before NCLAT or the Supreme Court for compensation.58 Further, an enterprise (including a person, government or an association) may file an application (in the prescribed manner) before NCLAT for an award of compensation by establishing the loss or damage suffered by it. Although the CCI has the power to regulate its own procedures, it must be guided by the principles of natural justice.60 Section 36(2) of the Competition Act empowers the CCI as well as the DG61 to exercise the same powers as are vested in the Civil Court under the Civil Procedure Code in respect of discovery and production of documents, requiring evidence on affidavit, issuing commissions for the examination of witnesses or documents and requisitioning of any public record or document or copy of such record or document from any office subject to the provisions of Section 123 and 124 of the Indian Evidence Act, 1872 (the Evidence Act). During the investigation, DG can seek information or documents and summon and conduct examination of parties including witnesses or third parties (i.e., parties that are not party to the case) on oath. The Evidence Act governs the admissibility of evidence including pre-existing evidence under Section 19(1), evidence from experts under Section 36(3), 36(4) and 36(5) and evidence from search and seizure procedure under Section 41(3). Categories of evidence admissible can be documentary, oral, economic and financial analysis. The CCI may call upon experts from the fields of economics, commerce, accountancy international trade or from any other discipline as it may deem fit for the purpose of conducting an inquiry.68 It may also engage an expert to assist it in the discharge of its functions.69 The CCI has also framed regulations to govern the procedure for its engagement.70 In this regard, the CCI has empanelled institutions and agencies with the CCI for conducting surveys or undertaking economic analysis of markets, or both. Additionally, the CCI has also empanelled institutions for the assessment of select upcoming or existing economic legislation and policies made by the Parliament, state legislature, ministries, departments of the central and state governments, and statutory authorities, from a competition perspective.71 Based on the assessment, the CCI may suggest, if necessary, appropriate modifications in the economic legislation or the policy. Section 19(1)(a) of the Competition Act empowers the CCI to inquire into alleged contraventions of provisions specified in Sections 3(1) or 4(1) either on its own motion or on receipt of information from any person, consumer, or their association or trade associations.72 In terms of compensation applications to be filed under Section 53N, Subsection (4) thereof clearly allows one or more persons to file an application for the benefit of other interested persons. Therefore class actions can be taken by consumer associations, trade associations, a body of individuals, a cooperative society, a Hindu undivided family, non-governmental association or any trust. Class actions can also be taken under Section 53N(4) of the Competition Act whereby one or more persons on behalf of numerous persons with the same interest in filing a class action can file an application with the permission of NCLAT, on behalf or for the benefit of all the interested persons. Penalties can also be imposed if the orders74 or directions issued by DG and the CCI75 are not complied with. Any person or enterprise may file an application before NCLAT for recovery of damages.76 An application for claiming damages can be filed before NCLAT under Sections 53N (in an appeal arising from findings of the CCI or NCLAT), 42A (for recovery of damages suffered by the plaintiff) and 53Q (2) (damages suffered due to inability of the judgment debtor to comply with the CCI orders) of the Competition Act. Though a party needs to demonstrate the damage suffered because of the contravention, it need not re-prove the contravention to obtain compensation. There is currently no pass-on defence in India. However, Explanation (b) to Section 53N of the Competition Act clarifies that when deciding compensation applications, NCLAT must be concerned with 'determining the eligibility and quantum of compensation due to a person applying for the same'. Therefore, the pass-on defence may be taken by a respondent to contend that since the applicant has passed on the loss or damage, if any, caused to it, it is not eligible for any compensation. 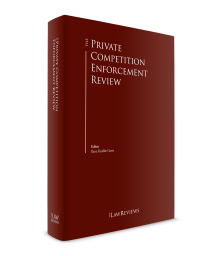 The Competition Act does not provide any explicit limitation prohibiting the initiation of a private action if there has been an enforcement action with respect to the same. However, under Section 61 of the Competition Act, the civil courts' jurisdiction over any matter which the CCI or NCLAT is empowered to determine (which, in the case of NCLAT, includes compensation applications by aggrieved parties) is barred. Although the concept of privileged communications is not covered by the Competition Act, the Evidence Act provides for protection of privileged professional communications between attorney and client. While this protection certainly extends to external counsel, it has also been held that a paid or salaried employee who advises his or her employer on all questions of law and relating to litigation (in certain situations) must enjoy the same protection of law as an external counsel. Section 126 of the Evidence Act provides the scope of attorney–client privilege and restricts attorneys from disclosing any communication exchanged with the client or stating the contents or condition of documents in his or her possession. However, this privilege would not apply in situations where a crime or a fraud has been committed during the period of attorney's engagement by the client. The privilege applicable under Section 126 of the Evidence Act is extended to the interpreters, clerks and employees of the legal adviser by Section 127 of the Evidence Act. Under Section 128 of the Evidence Act, the legal adviser is bound by Section 126 of the Evidence Act unless the client calls the legal adviser as a witness and questions him or her on the information. Moreover, Section 129 of the Evidence Act provides that no one shall be compelled to disclose to the court any confidential communication that has taken place with his or her legal professional adviser, unless the latter offers him or herself as a witness. Moreover, the application of these provisions to leniency applications is yet to be tested since no case has been decided. The Competition Act in India does not empower the CCI or NCLAT to direct the parties to resort to arbitration or any other alternate dispute resolution mechanism. Significantly, the High Court of Delhi in Union of India v. CCI & Ors79 has held that existence of an arbitration agreement is not relevant for the purposes of competition law proceedings under the Competition Act. The general rule prevalent in India regarding arbitration is that though issues in personam may be arbitrable, rights in rem should not be arbitrable. Given the specific provision for adjudication of private antitrust claims by Section 53N of the Competition Act, these disputes may not be termed as arbitrable. However, as yet, there has not been a substantive decision on arbitrability of competition law disputes and more clarity may emerge in the future if such a decision were to be passed. After the current competition law legislation came into operation, the government constituted an expert committee in 2011 to suggest changes to the existing regime. However, the Competition (Amendment) Bill, 2012 lapsed before it could be passed by the lower house of the Parliament.81 It will be interesting to see if the Committee considering amendments to the Competition Act decides to revisit the amendments sought to be put in place through the proposed amendment in 2012, which was approved by the Parliamentary Standing Committee on Finance in 2014. The competition law regime in India is undergoing tremendous change and the CCI is actively working with the government as well as governments abroad to achieve its goal of furthering economic development by preventing anticompetitive practices and promoting fair competition. In this regard, in line with its proactive methods, the CCI has also expanded the scope of its investigation into alleged anticompetitive conduct by a leading hospital chain and a leading medical devices company by directing the DG to cover in its investigation the practices of super specialty hospitals across Delhi in respect of healthcare products and services provided to inpatients. the nature, gravity, extent of the contravention, role played by the infringer (ringleader? Follower? ), the duration of participation, the intensity of participation, loss or damage suffered as a result of such contravention, market circumstances in which the contravention took place, nature of the product, market share of the entity, barriers to entry in the market, nature of involvement of the company, bona fides of the company, profit derived from the contravention etc. The Supreme Court highlighting the absence of guidelines for the imposition of penalties in India as compared to other jurisdictions may lead the CCI to consider the issuance of guidelines for the imposition of penalties (though none have been issued thus far). While certain grey areas still remain, the future of competition law regulation in India seems positive, with the CCI adopting a proactive, indiscriminate stance towards promoting competition and NCLAT, high courts and the Supreme Court of India working to ensure that the CCI and the DG pursue their ends in accordance with their powers and duties under the Competition Act. 1 Vandana Shroff and Avaantika Kakkar are partners at Cyril Amarchand Mangaldas. 2 The CCI acts as the market regulator for prevention and regulation of conduct having an adverse effect on competition in India. 3 Notification dated 15 May 2009 issued by the Ministry of Corporate Affairs. 4 PIB, Cabinet approves rightsizing the Competition Commission of India (4 April 2018) available at http://pib.nic.in/newsite/PrintRelease.aspx?relid=178397 (last accessed on 12 December 2018). 5 Regulation 46A, CCI General Regulations (brought into effect from 6 December 2018). 7 Policy Note on Making Markets Work for Affordable Healthcare (1 November 2018) available at https://www.cci.gov.in/node/4184 (last accessed on 17 December 2018). 8 Rajasthan Cylinders and Containers Ltd v. Union of India & Anr, Civil appeal 3546 of 2014, order dated 1 October 2018. 9 As per the legislative change undertaken last year, the functions of COMPAT have been merged with those of the National Company Law Appellate Tribunal. 10 Excel Crop Care Ltd v. Competition Commission of India & Ors (2017) 8 SCC 47. 11 Competition Commission of India v. M/s Fastway Transmission Pvt Ltd & Ors, C.A.7215/2014, order dated 24 January 2018. 16 Competition Commission of India v. Bharti Airtel Limited & Ors, Civil appeal 11843/2018 (arising out of SLP(C) No. 35574/2017), order dated 5 December 2018. 17 Ambuja Cements Ltd v. CCI & Ors, appeal TA (AT) (Compt) No. 22 of 2017, order dated 25 July 2018. 18 Google LLC & Ors v. Competition Commission of India & Ors, Competition appeal (AT) 18/2018. 19 Id., order dated 27 April 2018. 20 In Re: Shri Vivek Sharma and Becton Dickinson India Pvt. Ltd & Max Super Speciality Hospital, case No. 77 of 2015, order dated 31 August 2018. 21 House of Diagnostics LLP v. Esaote SpA & other, case No. 09/2016, order dated 27 September 2018; India Glycols Limited v. Indian Sugar Mills Association & Ors, case Nos. 21, 29, 36, 47, 48 and 49/2013, order dated 18 September 2018 (appeal preferred by some of the opposite parties before NCLAT); Mr G Krishnamurthy v. Karnataka Film Chamber of Commerce (KFCC) & Others, case No. 42/2017, order dated 30 August 2018; In Re: Anticompetitive conduct in the Dry-Cell Batteries Market in India v. Panasonic Corporation, Japan & Others, suo motu case No. 02/2017, order dated 30 August 2018 (appeal preferred by some of the opposite parties before NCLAT); M/s Alis Medical Agency v. Federation of Gujarat State Chemists & Druggists Associations & Others, case Nos. 65/2014, 71/2014, 72/2014 and 68/2015, order dated 12 July 2018 (appeal preferred by some of the opposite parties before NCLAT); Hemant Sharma & Others v. All India Chess Federation, case No. 79/2011, 12 July 2018 (appeal preferred by the opposite party before NCLAT); In Re: Cartelisation by broadcasting service providers by rigging the bids submitted in response to the tenders floated by Sports Broadcasters v. Essel Shyam Communication Limited & others, suo motu case No. 02/2013, order dated 11 July 2018 (appeal preferred by some of the opposite parties before NCLAT); East India Petroleum Pvt Ltd (EIPL) v. South Asia LPG Company Pvt Ltd, case No. 76/2011, order dated 11 July 2018 (appeal preferred by opposite party before NCLAT); In re: Cartelization in Tender No. 59 of 2014 of Pune Municipal Corporation for Solid Waste Processing v. Lahs Green India Private Limited & Others, suo motu case No. 04/2016, order dated 31 May 2018 (appeal preferred by opposite parties before NCLAT); In re: Cartelization in Tender Nos. 21 and 28 of 2013 of Pune Municipal Corporation for Solid Waste Processing v. Saara Traders Private Limited & Others, suo motu case No. 03/2016, order dated 31 May 2018 (appeal preferred by opposite parties before NCLAT); Nagrik Chetna Manch v. Fortified Security Solutions & Others, case No. 50/2015, order dated 1 May 2018 (appeal preferred by opposite parties before NCLAT); Cartelisation in respect of zinc carbon dry cell batteries market in India v. Eveready Industries India Ltd & Ors, suo motu case No. 02/2016, order dated 19 April 2018 (appeal preferred by some of the opposite parties before NCLAT); Express Industry Council of India v. Jet Airways (India) Ltd & Others, case No. 30/2013, order dated 7 March 2018 (appeal preferred by some of the opposite parties before NCLAT); Shri Satyendra Singh v. Ghaziabad Development Authority, case No. 86/2016 (appeal preferred by opposite party before NCLAT), order dated 28 February 2018; Matrimony.com Limited v. Google LLC & Others, case Nos. 07 and 30/2012, 31 January 2018 (appeal preferred by opposite parties before NCLAT); Surendra Prasad v. Maharashtra State Power Generation Co Ltd & Others, case No. 61/2013, order dated 10 January 2018 (appeal preferred by some of the opposite parties before NCLAT); Reliance Agency v. Chemists and Druggists Association of Baroda & Others, case No. 97/2013, order dated 4 January 2018 (appeal preferred by some of the opposite parties before NCLAT). 22 Noida Software Technology Park Ltd v. Star India Pvt Ltd & Others, case No. 30/2017, order dated 27 July 2018. 23 Indian National Shipowners' Association (INSA) v. Oil and Natural Gas Corporation Limited (ONGC), case No. 1/2018, order dated 12 June 2018. 24 Velankani Electronics Private Limited v. Intel Corporation, case No. 16/2018, order dated 9 November 2018. 25 Pan India Infraprojects Private Limited v. Board of Control for Cricket in India (BCCI), case No. 91/2013, order dated 1 June 2018. 26 Informant (Confidential) v. Grasim Industries Limited (GIL), case No. 51/2017, 54/2017 & 56/2017, order dated 16 May 2018. 27 Vishal Pande v. Honda Motorcycle and Scooter India Private Ltd, case No. 17/2017, order dated 14 March 2018; Mr Meet Shah & Other v. Union of India, Ministry of Railways & Other, case No. 30/2018, order dated 9 November 2018. 28 Confederation of Real Estate Developers Association of India-NCR (CREDAI-NCR) v. Department of Town and Country Planning, Government of Haryana & Other, case No. 40/2017, order dated 6 April 2018. 29 In Re: Anticompetitive conduct in the Dry-Cell Batteries Market in India v. Panasonic Corporation, Japan & Others, suo motu case No. 02/2017, order dated 30 August 2018 (appeal preferred by some of the opposite parties before NCLAT); In Re: Cartelisation by broadcasting service providers by rigging the bids submitted in response to the tenders floated by Sports Broadcasters v. Essel Shyam Communication Limited & others, suo motu case No. 02/2013, order dated 11 July 2018(appeal preferred by some of the opposite parties before NCLAT); In re: Cartelization in Tender No. 59 of 2014 of Pune Municipal Corporation for Solid Waste Processing v. Lahs Green India Private Limited & Others, suo motu case No. 04/2016, order dated 31 May 2018 (appeal preferred by opposite parties before NCLAT); In re: Cartelization in Tender Nos. 21 and 28 of 2013 of Pune Municipal Corporation for Solid Waste Processing v. Saara Traders Private Limited & Others, suo motu case No. 03/2016, order dated 31 May 2018 (appeal preferred by opposite parties before NCLAT); Nagrik Chetna Manch v. Fortified Security Solutions & Others, case No. 50/2015, order dated 1 May 2018 (appeal preferred by opposite parties before NCLAT); Cartelisation in respect of zinc carbon dry cell batteries market in India v. Eveready Industries India Ltd & Ors, suo motu case No. 02/2016, order dated 19 April 2018 (appeal preferred by some of the opposite parties before NCLAT). 30 Section 53N, Competition Act, 2002. 31 Section 64, Competition Act, 2002. 32 Section 62, Competition Act, 2002. 33 Section 61, Competition Act, 2002. 34 Section 19(1), Competition Act, 2002. 35 Google Inc v. Competition Commission of India & Ors, 2015 (150) DRJ 192. (The CCI has preferred SLP (C) 13716-17/2017 against this order before the Supreme Court, which is currently pending. The Supreme Court has issued a notice on the appeal as well as an application for condonation of delay, but no other interim order has been passed). 36 Section 41, Competition Act, 2002. 38 Lupin Ltd & Ors v. CCI & Anr, appeal No. 40/2016, I.A. No. 152/2016, order dated 7 December 2016 (appeal preferred by CCI pending before the Supreme Court). 39 Section 33, Competition Act, 2002. 40 Competition Commission of India v. Steel Authority of India Ltd and Ors, (2010) 10 SCC 744. 41 Section 46, Competition Act, 2002 (r/w CCI Lesser Penalty Regulations). 42 MCX Stock Exchange Ltd v. National Stock Exchange of India Ltd, compensation application No. 01/2014 (based upon the judgment dated 5 August 2014 in appeal No. 15/2011); Crown Theatre v. Kerala Film Exhibitors Federation, C.A. (AT) (COMPAT) No. 1 of 2017 in competition appeal (AT) No. 16 of 2017; Sai Wardha Power Ltd v. Coal India Ltd & Ors, Transfer C.A. (AT) (Compensation) No. 01/2017; Maharashtra State Power Generation Company Ltd v. Nair Coal Services Pvt Ltd & Ors, compensation application (AT) No. 02/2018; Sateyendra Singh & Ors v. Ghaziabad Development Authority, compensation application (AT) No. 02/2018. 43 Section 53A specifies the orders passed by the CCI against which an appeal before NCLAT would be maintainable. 44 Section 53T, Competition Act, 2002. 45 See Prabhakar v. Joint Director Sericulture Department and Ors, 2015(10)SCALE114, paragraph 36. 46 Kingfisher Airlines Limited, a company incorporated and registered under the provisions of the Companies Act, 1956 and Dr Vijay Mallya v. Competition Commission of India through its Secretary (Ministry of Company Affairs, Government of India), The Director General, Competition Commission of India, MP Mehrotra, Indian Inhabitant and Union of India (UOI) through Secretary, Ministry of Company Affairs 100CLA190 (Bom). 47 Section 3(5)(ii), Competition Act, 2002. 48 Cases Nos. 07 & 30/2012, case No. 06/2014 and case No. 46/2014, order dated 31 January 2018. 49 Biocon Limited & others v. F. Hoffmann-La Roche AG & Ors, case 68/2016, order dated 21 April 2017 (opposite parties have challenged the initiation of inquiry before the High Court of Delhi); Kaveri Seed Company Limited, Ajeet Seeds Private Limited & Ankur Seeds Private Limited v. Mahyco Monsanto Biotech (India) Limited & Ors, case No. 37, 38, 39 of 2016, order dated 9 June 2016 (opposite parties have challenged the initiation of inquiry before the High Court of Delhi). 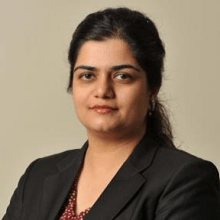 50 Intex Technologies (India) Limited v. Telefonaktiebolaget LM Ericsson, case No. 76/2013, order dated 16 January 2014; (appeal challenging the initiation of inquiry pending before the High Court of Delhi). 51 Nirmal Kumar Manhsani v. Ruchi Soya Industries Ltd & Ors, case No. 76/2012, order dated 28 June 2016 (order is currently under challenge in W.P. (C) 3922/2017 before the High Court of Delhi). 52 The Board of Control for Cricket in India v. The Competition Commission of India and Ors, appeal No. 17 of 2013 and I.A. No. 26 of 2013, order dated 23 February 2015. 53 XYZ v. REC Power Distribution Company Limited, case No. 33 of 2014, order dated 15 May 2016; XYZ v. Association of Man-made Fibre Industry of India & Others, case No. 62 of 2016, order dated 10 November 2016; Sudeep PM & others v. All Kerala Chemists and Druggists Association, case No. 54 of 2015, order dated 31 October 2017. 54 Lupin Limited and Ors v. Competition Commission of India, The Hindustan Times House and Ors, appeal No. 40 of 2016, order dated 7 December 2016. 56 Schott Glass India Pvt Ltd v. Competition Commission of India through its Secretary and M/s Kapoor Glass Private Limited, appeal No. 91, 92/2012, order dated 2 April 2014. 58 Section 53N, Competition Act, 2002. 59 Regulation 35, CCI (General) Regulations, 2009. 60 Section 36(1), Competition Act, 2002. 61 Section 41(2), Competition Act, 2002. 62 Regulation 35, CCI (General) Regulations, 2009. 63 Regulation 37 and 50, CCI (General) Regulations, 2009. 64 Regulation 41, CCI (General) Regulations, 2009. 65 Regulation 44, CCI (General) Regulations, 2009. 66 Regulation 45, CCI (General) Regulations, 2009. 67 See NTN Corporation v. Competition Commission of India and Anr, W.P. (C) 3051/2016, High Court of Delhi; Sumitomo Electric Industries Ltd v. CCI, W.P. (C) 9894/2017, High Court of Delhi; Toyo Element Industry Co, Ltd v. CCI, W.P. (C) 9884 of 2017, High Court of Delhi; Miyamoto Electric Horn Co Ltd v. CCI & Anr, W.P. (C) 6492/2017, High Court of Delhi; NOK Corporation v. CCI & Anr, W.P. (C) 11628/2016, High Court of Delhi; Toyota Industries Corporation v. CCI, W.P. (C) 3177/2017, High Court of Delhi. 68 Section 36(3), Competition Act, 2002. 69 Section 17(3), Competition Act, 2002 and Regulation 52, CCI (General) Regulations, 2009. 70 Competition Commission of India (Procedure for Engagement of Experts and Professionals) Regulations, 2009, No. R-4007/6/REG-EXPORT/NOTI/04-CCI, dated 15 May 2009. 71 https://www.cci.gov.in/competition-assessment (last accessed on 17 December 2018). 72 There have been several cases where the CCI has initiated an investigation on receipt of information filed by associations, e.g., Builders Association of India v. Cement Manufacturers' Association & Ors, case No. 29/2010, order dated 31 August 2016 (appeal filed by opposite parties pending before NCLAT); Belaire Owners' Association v. DLF Limited, HUDA & Ors, case No. 19/2010, order dated 12 August 2011 (appeal preferred by opposite party pending before Supreme Court). 73 Section 46, Competition Act, 2002 (r/w CCI Lesser Penalty Regulations). 74 Section 42, Competition Act, 2002. 75 Section 43, Competition Act, 2002. 76 Section 42A, Competition Act, 2002. 77 Telefonaktiebolaget LM Ericsson (Publ) v. Competition Commission of India & Anr, High Court of Delhi, W.P. (C) 5604/2015, order dated 14 December 2015. 78 CCI v. Telefonaktiebolaget LM Ericsson & Anr, High Court of Delhi, LPA 550 of 2016. 79 Union of India v. CCI & Ors, 2012 CompLR 187 (Delhi). 80 See In Re: Shri Shamsher Kataria v. Honda Siel Cars India Ltd & Others, case No. 03 of 2011, order dated 27 July 2015 (in continuation of an earlier order dated 25 August 2014), appeal No. 60/2014, 61/2014 and 62/2014 disposed of by COMPAT on 9 December 2016; Shri Jyoti Swaroop Arora v. M/s Tulip Infratech Ltd & Ors, case No. 59 of 2011, order dated 3 February 2015 (order upheld by the High Court of Delhi in W.P. (C) 6262/2015, order dated 16 May 2016). 81 The Competition (Amendment) Bill, 2012, available at www.prsindia.org/billtrack/the-competition-amendment-bill-2012-2571. 82 Telefonaktiebolaget Lm Ericsson (Publ) v. Competition Commission of India, [LPA 246 of 2016], High Court of Delhi. 83 See CCI v. JCB India Ltd, 2014(146)DRJ531; CCI v. Grasim Industries Ltd [LPA137/2014], High Court of Delhi. 84 Excel Crop Care Limited v. CCI & Anr, (2017) 8 SCC 47.